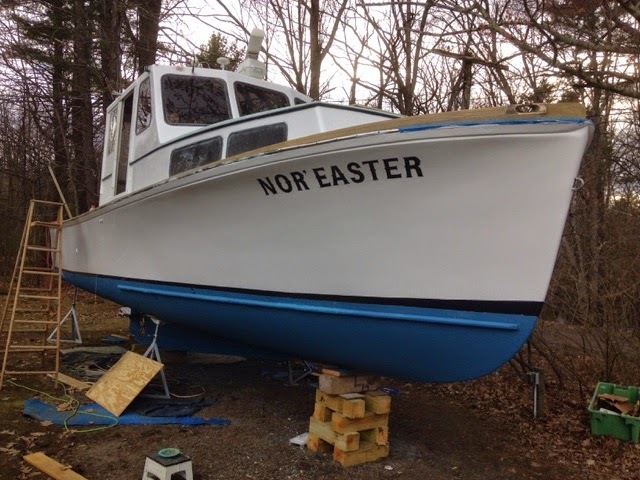 Steaker Charters based in easy to reach Hampton, NH offers fishing charter trips for Cod, Haddock, Tuna, Stripers and other fish in the Gulf of Maine. Steaker charters will work with you to customize a fishing charter to your needs. I have two trips booked this upcoming weekend and I am very excited to get back on the water. The regulations came out last week. We are allowed 3 haddock for each person onboard (captain and mate included) and unlimited pollack, cusk, and redfish. The size limits are 17" on haddock (down from 21" which will make limiting out very easy) and pollack remain the same at 19" for a keeper. You will notice that I have left out cod. That's because the national marine fisheries service decided we couldn't catch any this season. We are hoping to get them back as there is some research out that suggests this closure may be an overreaction but I am not expecting them to change these rules this season. We will grin and bare it and go out and have an awesome time on the water in spite of the nmfs. The first few weeks I plan to get out limit of haddock early in the morning and move on to cusk, reds and pollack after, to fill the coolers and keep us catching. Once the striped bass and flounder show up I am going to run all day trips that target haddock to start and then after we catch our limit I will offer an option of fishing for pollack, cusk and reds or we can come inside and fill up on flounder and bend some rods fighting striped bass. We are going to have a great time either way. There are tons of options and I will keep you busy and catching fish. I have openings next weekend and quite a bit open going forward. I plan to start half day and night trips during the last week of May. As soon as the tuna show up I will post on here and we will start tuna and shark charters at that point. Weather may be an issue this weekend but if we are able to get out I will have a fish report and pictures by Sunday night or Monday! Thanks for checking in. Give us a call at 603-918-3627 and get your trip booked for this spring! © 2014 Steaker Charters, AllRightsReserved.